Yellow and pink and green, oh my! The colors of spring are gracing our Everyday Beauty flickr pool. Thank you for sharing a little bit of your world with us, and keep ’em coming! 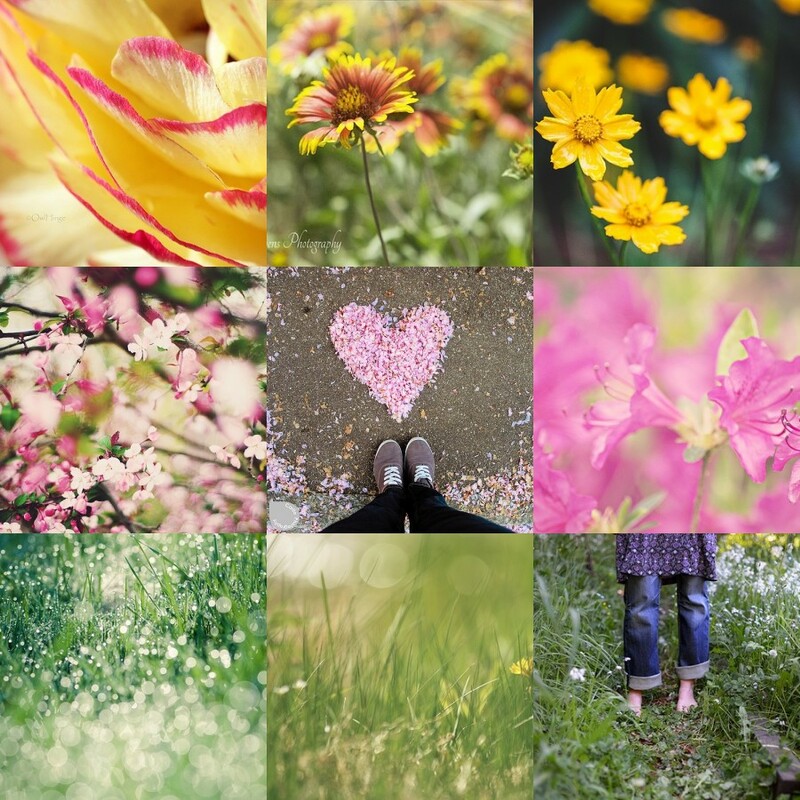 Such pretty and evocative images of Spring. They have certainly brought me a smile on a wet, rather chilly South Wales May morning. Thank you for including my photo today! Such a pretty mosaic of spring! A nice way to start my day! Thank you, it’s an honor to be included! Gorgeous mosaic, Christy! Lots of talent in the MM pool!